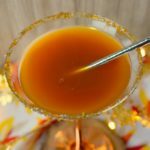 Bananas Foster Colada - Who Needs A Cape? 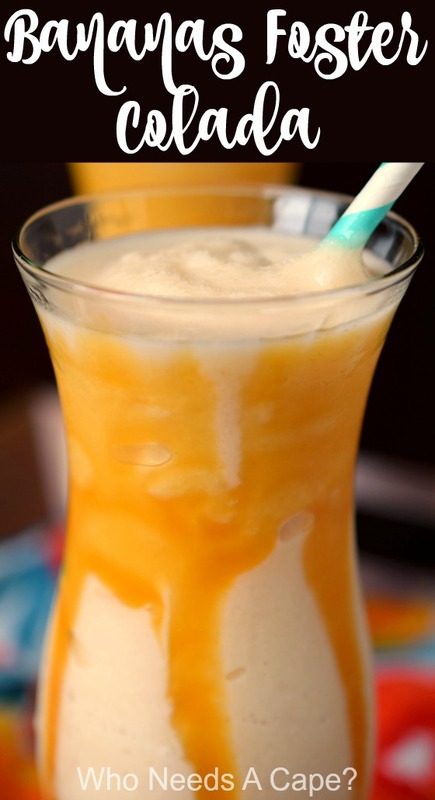 Sail away to warm tropical breezes with a refreshingly delicious Bananas Foster Colada. 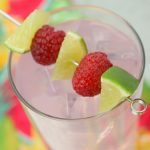 Easy to make this will be your new summer cocktail favorite! This shop has been compensated by Collective Bias, Inc. and its advertiser. All opinions are mine alone. #RumInTheSun #CollectiveBias . The following content is intended for readers who are 21 or older. Take a mental journey with me for a moment. Warm tropical breezes, salty ocean air, the rustling of palm fronds, the distinct sounds of nature, and the glorious crashing of ocean waves against the shoreline…PURE AMAZINGNESS! Friends I live in Michigan and even though we have an abundance of shoreline from The Great Lakes there’s no tropical feel here. Not in the least. 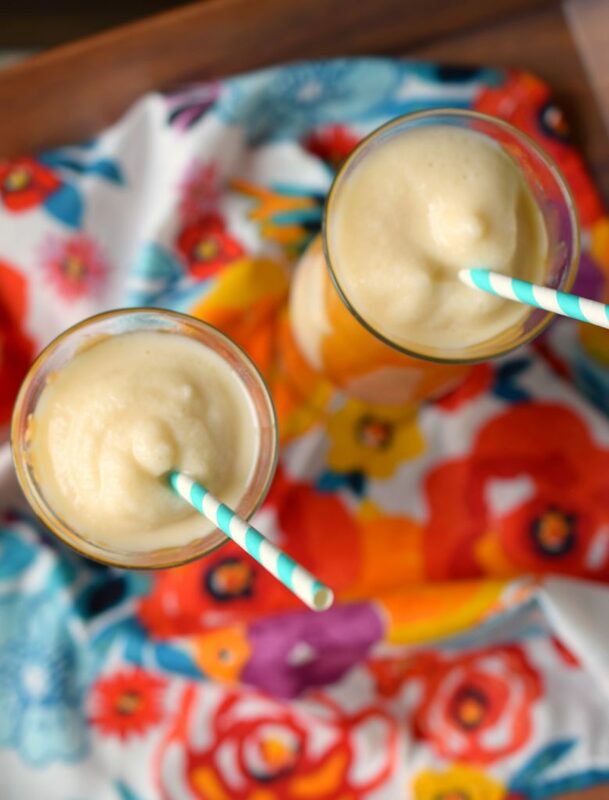 I’ve found my own way to tropical bliss in cocktail form: a Bananas Foster Colada! Ding ding, we’ve found a winner! You may not get beachy waves in your hair but I can assure you that you’ll feel swept away to an island oasis. When the reality is that you have a lounge chair on your back deck waving to the neighbors while waiting for the laundry to finish. 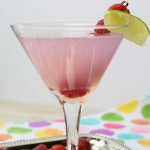 But who cares, this cocktail is fantastic!!! 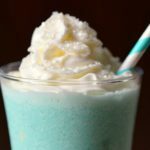 Aside from getting out my blender and putting on some beachy tunes, this recipe starts with the basics: Rum, Piña Colada mixer, and caramel. Yes, CARAMEL! 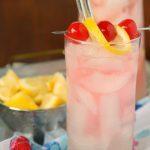 I was envisioning the decadent and oh so famous Bananas Foster dessert when I was concocting this cocktail. 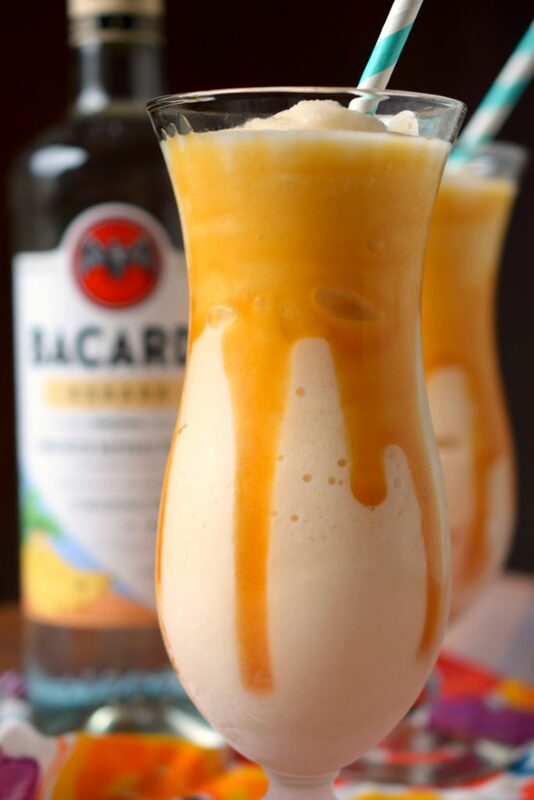 Piña Colada mixer and caramel go amazingly well together. So where’s the bananas portion come into play? 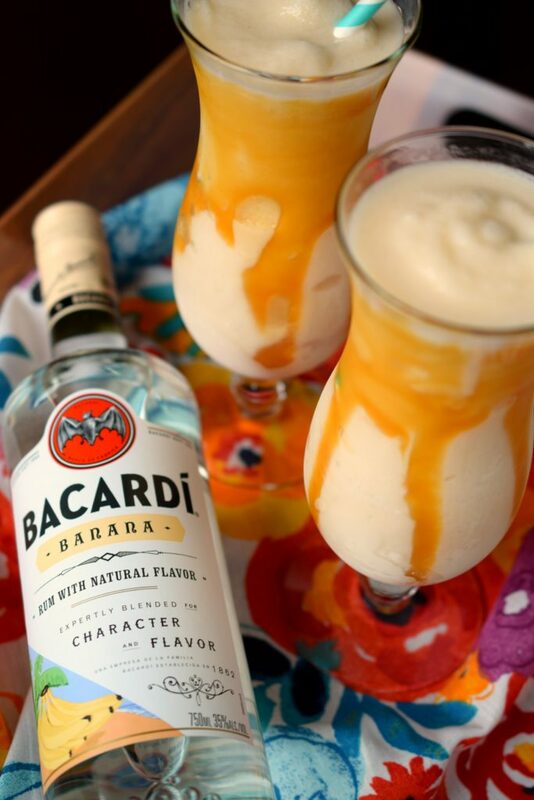 By adding in Bacardi Banana Flavored Rum, the key to this delicious drink. 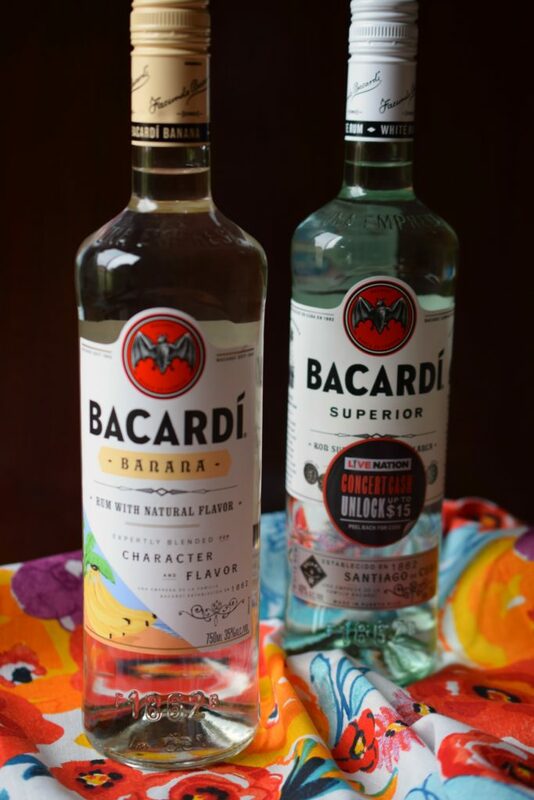 You know Bacardi Superior Rum is the perfect addition to summery drinks, everything from rum punches, daiquiris and of course coladas. 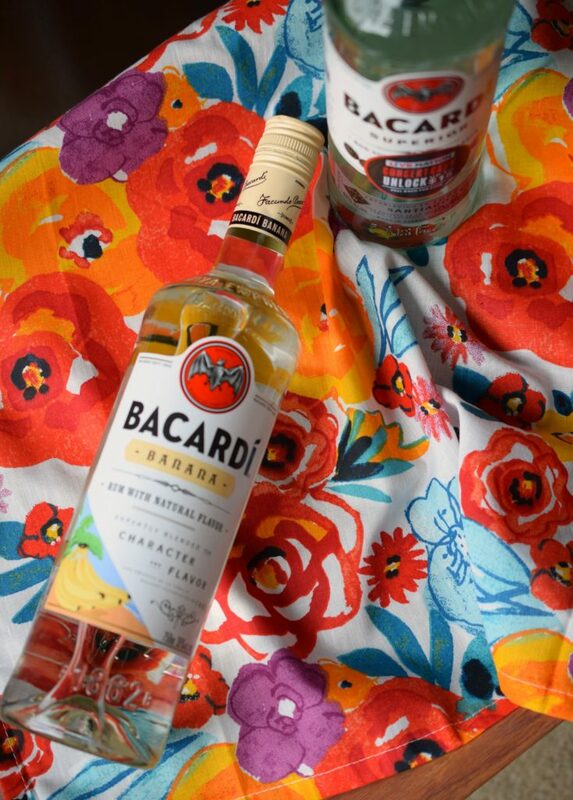 Bacardi Banana Flavored Rum was just the perfect addition to my tropical cocktail, I know you’ll agree. So tell me, where do you dream of going to hear your favorite band? You guessed it, I’m dreaming of somewhere tropical and beachy! 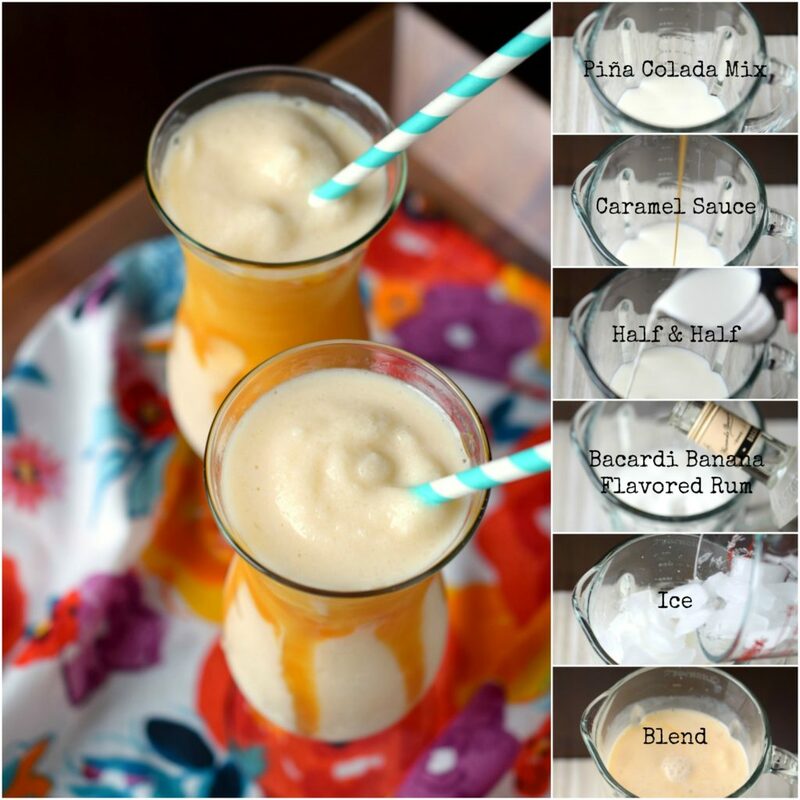 Blend all ingredients, adding more half & half if consistency is too thick. 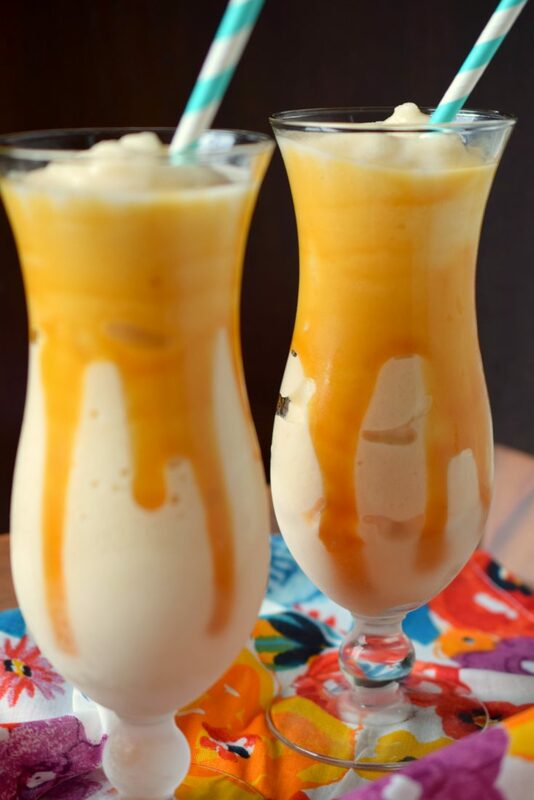 If desired squeeze additional caramel sauce inside glasses. 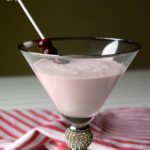 I used large Hurricane style glasses, if using smaller glasses this recipe will make 4 servings.